To reduce animal testing, researchers use techniques that allow them to obtain a level of information that is sufficient but requires fewer animals. Conversely, researchers may be able to employ a method that allows them to obtain more information from the same number of animals. The end result is that animal use is maximised and more efficient, leading to fewer animals being used and therefore, fewer animals suffering from any pain or distress that occurs from the experiment. Ultimately, the use of reduction methods means that the fewest number of animals possible are used for the experiment. There are numerous ways that researchers can reduce the number of animals used or obtain more information from the same number of animals that an experiment would typically require for success. There are currently modified test methods that are essentially traditional models that have been advanced to provide comparable results with fewer animals. For example, newer versions of the Draize test can reduce the use of animals and additionally, can reduce the potential distress as well. The Draize test is used to assess toxicity of various chemicals and products through application of the product to the animal's skin or eyes. Typically, rabbits are used for the Draize test. Many companies now perform more than one test on the same animal, which allows them to use fewer animals overall. Some companies are also using human volunteers instead of animals to test for skin irritation, which further reduces the number of animals used in testing. Testing certain substances on cellular models first can rule out the use of animals if results are not favourable. 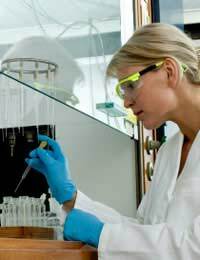 In addition, the use of computer models, databases and similar sources of information can provide the history of a substance and its use as well as offering preliminary information on the safety of a formula. Tissue cultures are also an extremely useful method for reducing the number of animals used in laboratory experimentation. By utilising active cell cultures, companies can dramatically reduce the number of animals used while still obtaining comparable levels of information from the method. These cell cultures are commonly obtained from commercial companies that provide human eye and skin tissues taken from cell lines. Two tests in particular are representative of reduction methods for skin toxicity testing. As they are, however, used alongside other tests, they unfortunately do not replace animal use. As such, they are considered reduction methods rather than replacement techniques. One test used is the rat skin transcutaneous electrical resistance (TER) assay although its success is somewhat limited in comparison with a more widely accepted one known as the EPISKIN test. In contrast with the TER assay, the EPISKIN test is able to differentiate between two specific substances and do so in repeated validation tests. Another reduction method used is one that was created as a replacement for the LD50 test. The LD50 test is an older test that was made to assess oral toxicity of chemicals. By orally administering a single dose of the substance to each animal, researchers were able to assess the specific dose required to kill fifty percent of the animals within a particular time frame. Unfortunately, this test often requires sixty to eighty animals for examination of a single substance. In the Fixed Dose test, a dose is chosen that does cause signs of toxicity but instead, is not fatal. Occasionally, the substance needs to be tested again utilising an increased or decreased dose but the aim is to set the highest dose level at one that does not require additional testing because the fatal dose is predictable. For the Fixed Dose test, only ten to twenty animals are required, which means a reduced number of animals used for the procedure. Reduction is probably one of the most promising areas in the sense that a great deal of progress has been made over the last decade. While the process itself is a difficult one in terms of developing reduction methods, it is particularly exciting and rewarding to view the results in terms of significant reductions in animals used for testing purposes. One reason it is such a difficult process is because there are so many tests required to assess a new substance. This means finding a suitable way to reduce the numbers of animals used while still obtaining a sufficient level of information. Validating the methods is similarly challenging and can be particularly time-consuming. The regulatory system in the United Kingdom (UK) is such that the approval process for a new method can be quite arduous. It can also take time following approval in one country for the rest of the world to accept and implement the specific reduction method. Still, finding successful reduction methods is vital to ensuring fewer animals are used and it is hoped that research in this area will yield more options for researchers who perform animal testing.